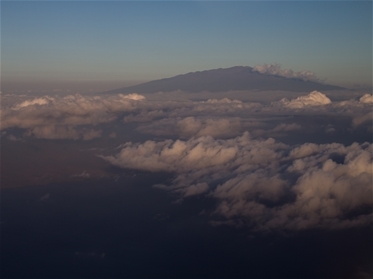 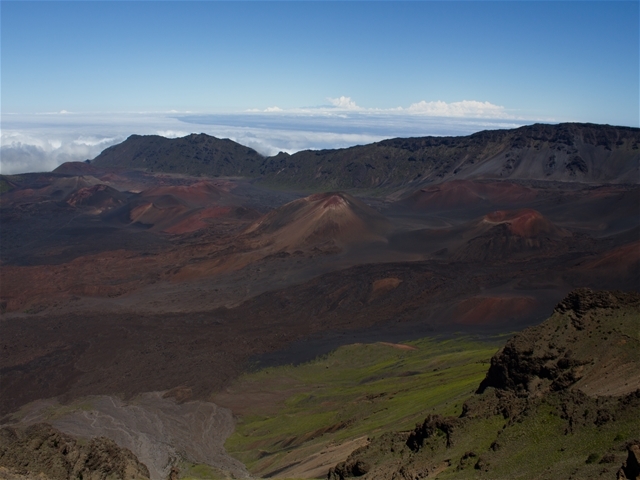 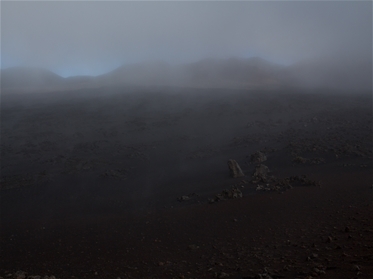 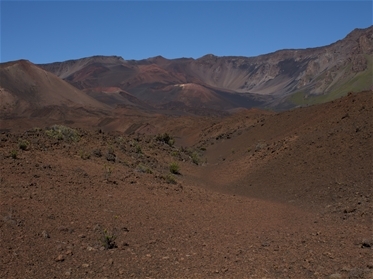 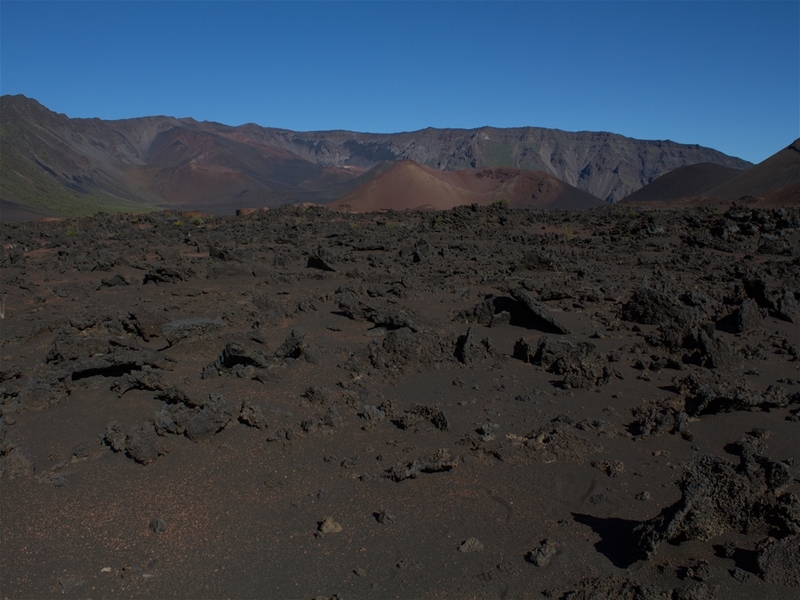 Haleakalā National Park contains a spectacular, colorful shield volcano located on the island of Maui. 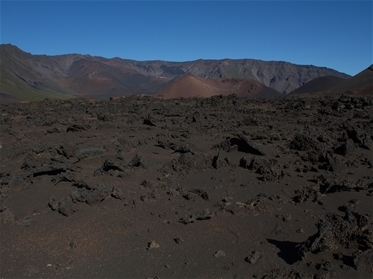 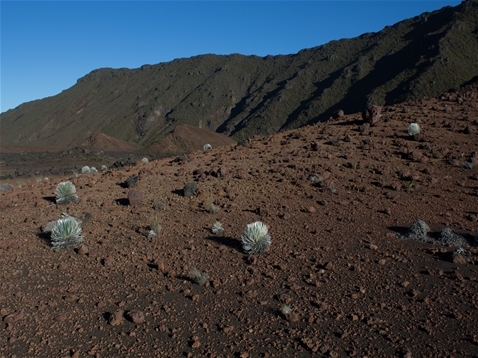 The crater isn't really formed from an eruption, but rather by erosion. 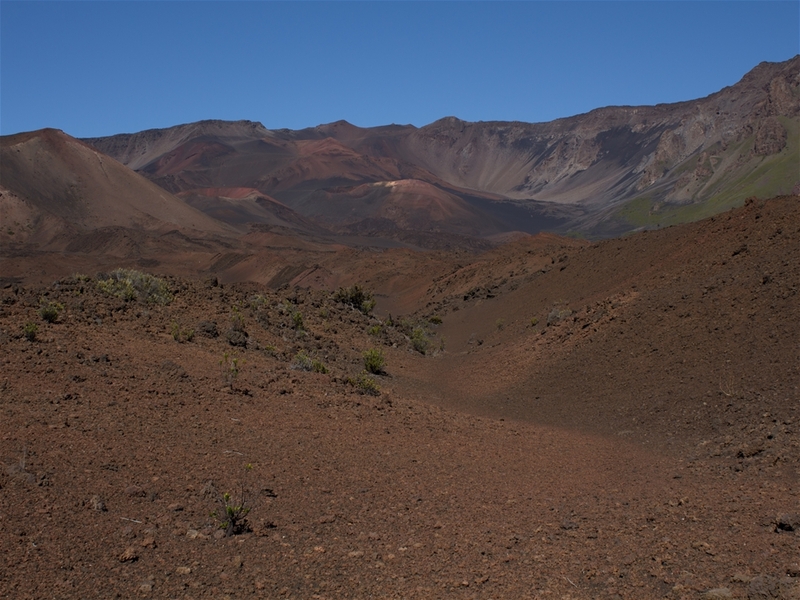 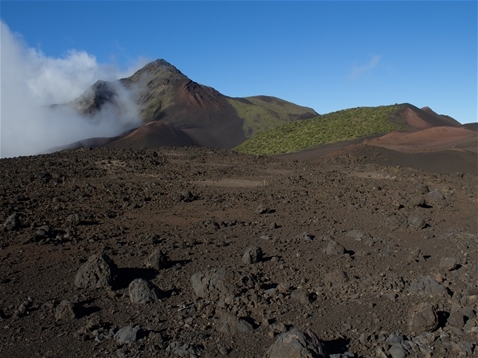 After the main activity ceased, additional small eruptions created several colorful cinder cones inside the crater. 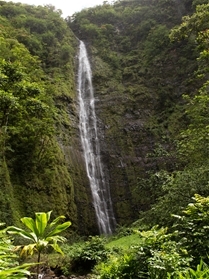 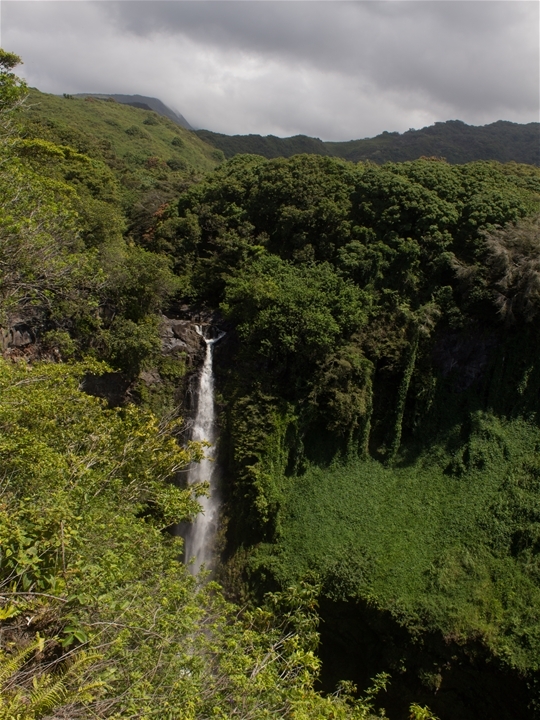 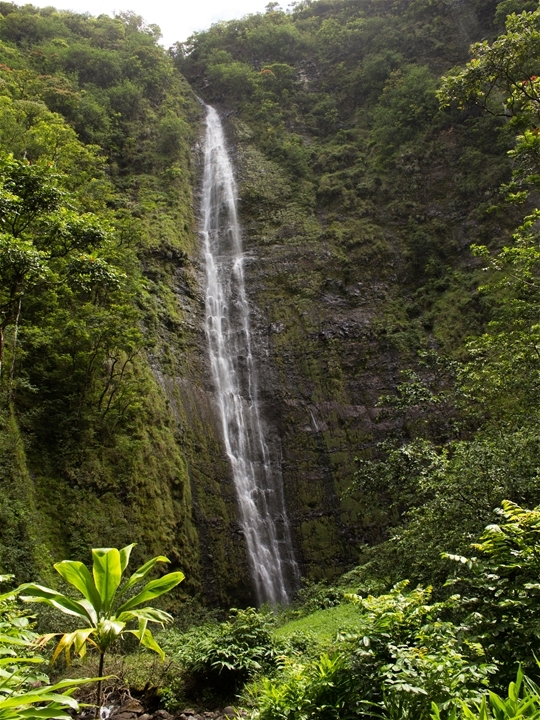 The park also includes a section of coastline and hiking trails to the towering Waimoku Falls and Makahiku Falls.